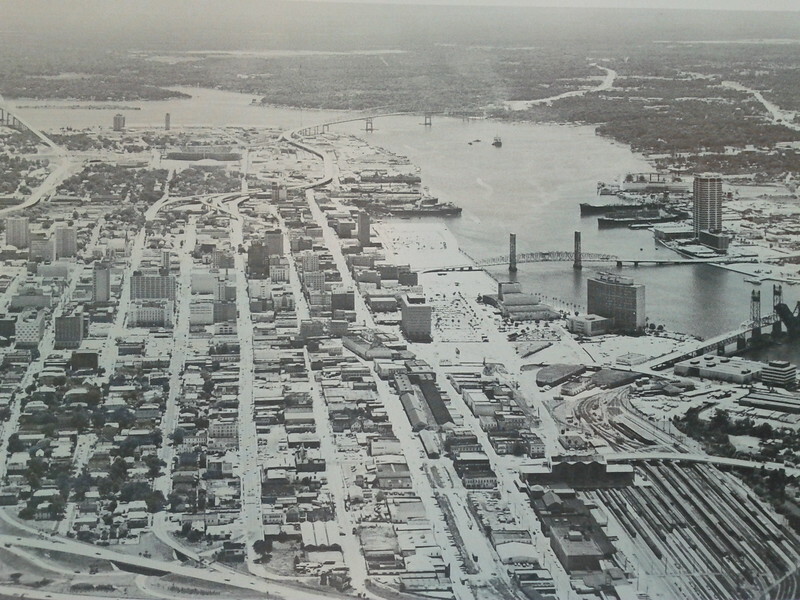 Jacksonville has changed in several ways over the last forty years. 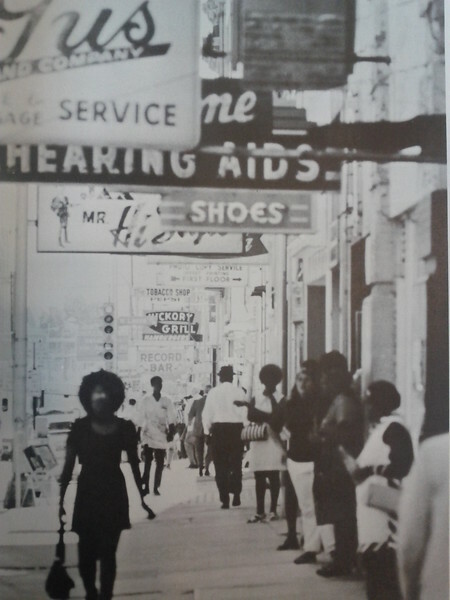 Today, we go back in time and take a look at the streets of downtown and surrounding neighborhoods during the early 1970s. 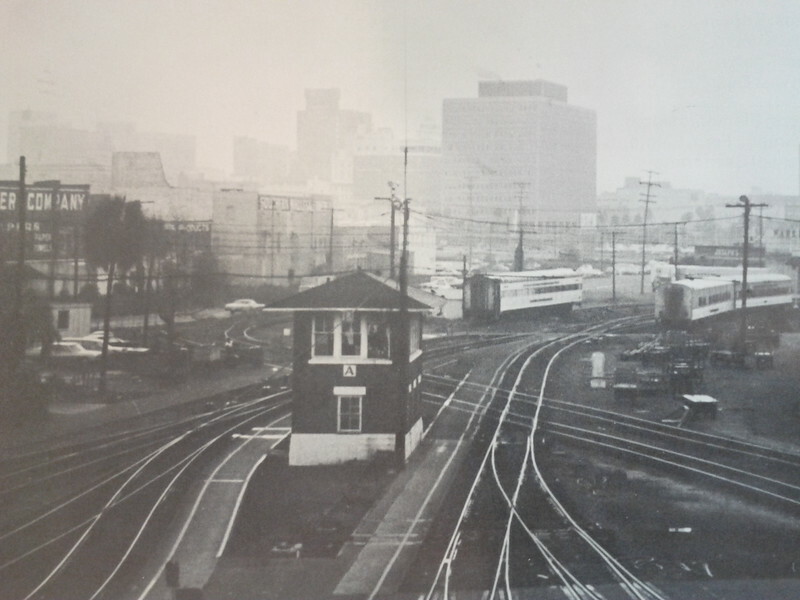 Looking north at the intersection of East Forsyth and Main Streets. 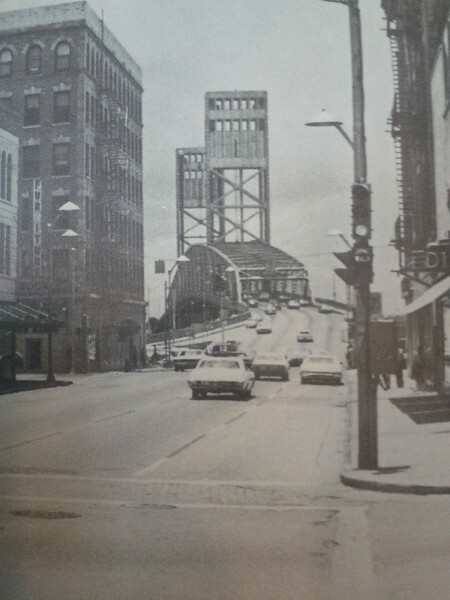 Looking south, from East Forsyth Street, at the Main Street Bridge. Main Street has not been converted for one-way traffic. Looking at the downtown skyline from the Lee Street viaduct in LaVilla. 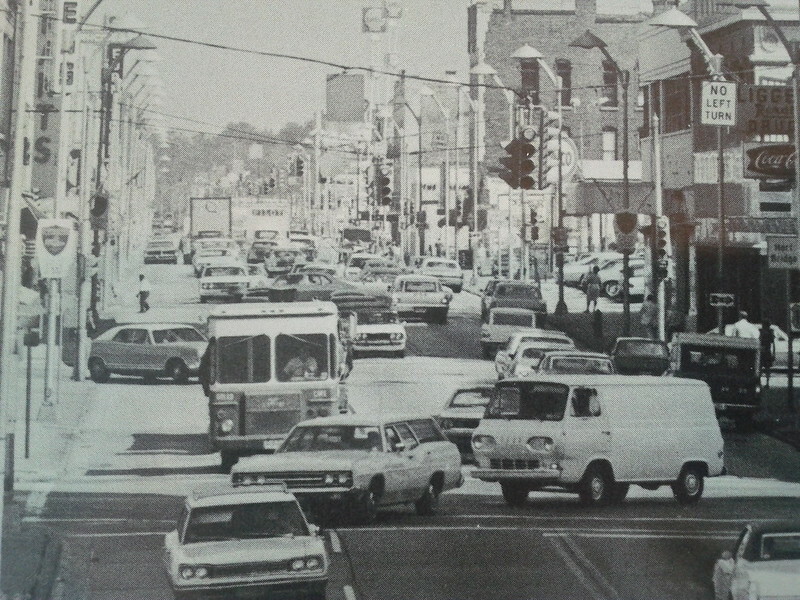 A busy downtown street scene before the passage of the sign ordinance.